An Internet entrepreneur and angel investor, Moscovitz not only holds the title of the world’s youngest self-made billionaire, (he’s 8 days younger than Mark Zuckerberg) he is also a committed and well-regarded philanthropist. After high school, Dustin began studying economics at Harvard University. But in June of 2004, only two years after he began he headed to Palo Alto together with Mark Zuckerberg and Chris Hughes, to work on Facebook. The fledgling company hired eight employees, with Moscovitz as the chief of technology and subsequently vice president of engineering. Moscovitz is credited with overseeing the initial architecture of the social network and leading the technical team. He was also in charge of the mobile development and basic implementation strategy. 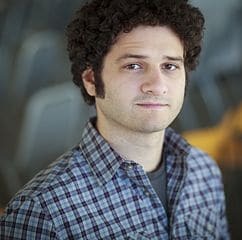 In late 2008 he announced that he was leaving Facebook to found ‘Asana’ with Justin Rosenstein who also worked at Facebook. Much of his net wealth comes from his stake in Facebook. He is also the primary, and largest investor in ‘Path’, a mobile sharing site developed by David Morin. Under Moscovitz, ‘Asana’ has developed into one of the world’s most trusted workflow and project management software programs.There are over 140,000 businesses that use Asana to manage and track progress of projects, improve workflow and save time. With an estimated growth of 10,000 users each month, Asana is rapidly moving onto bigger business with some top-name clients including Drpbox, Airbnb and Uber. In 2011, Moscovitz and his then fiancée, Cari Tuna launched a philanthropic organization called ‘Good Ventures’. In the summer of 2012, the organization formed a partnership with the well-known charity researcher and reviewer ‘Give Well’. The partnership led to another collaboration: Open Philanthropy Project. The Open Philanthropy Project was developed to ascertain the most effective way to utilize and disburse large fortunes, and place funds where they may have the largest impact. The organization has given over $40 million in grants to charitable organizations and projects and donated over $100 million in funds to various organizations. Grants and donations have been made to Against Malaria Foundation, Schistosomiasis Control Initiative, Deworm the World and Give Directly. The organization does not accept unsolicited applications for funding and prefers to seek out charities where funding may be best served. Many of the groups benefiting from Good Ventures’ funding work on a global scale to eradicate disease. Dustin Moscovitz and Cari Tuna are the youngest couple to have signed the Bill Gates and Warren Buffet Giving Pledge.